We meet on the 1st Monday of every month February through to December at the Westville Library. The meeting starts at 7.30pm sharp and is normally over by 9pm. We invite a guest to demonstrate the tying of a fly at every meeting but the AGM (held on the first Monday May or June) and the Christmas party (held on the first Monday in December). 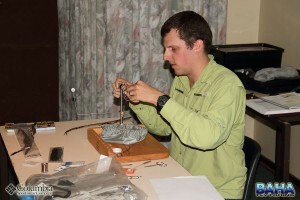 After the demonstration we all get a chance to tie the fly with materials provided. Assistance is provided to beginners. 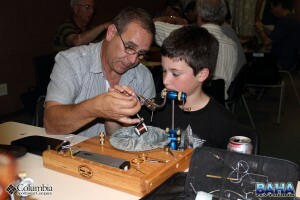 We have a fun competition where the guest tyer judges the best fly tied at the meeting in two categories, Senior and Junior.